The outbreak was in February. By the end of November, Earth has become a hellish wasteland ravaged by the undead. Survivors from across the Atlantic seaboard took refuge on the Welsh island of Anglesey. Beset by dangers from within, they departed to establish a new refuge in Belfast. Not all of them arrived. Six took the last plane on its last flight but crashed in France. Expecting a sprinting battle through the ruins of Belfast, they packed light. Their chances of survival are slim. There was no evacuation in France. No quarantine. No rationing. But there are zombies. After the outbreak came the nuclear war. The blasts killed millions. Chaos followed. Most of those unlucky enough not to succumb to starvation and disease joined the ranks of the living dead. 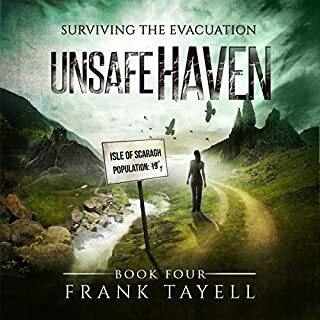 Fleeing the impossible nightmare, 10,000 from nations across the Atlantic seaboard found refuge on the Welsh island of Anglesey. There, they should have been safe. There, they should have been able to rebuild. There, they were betrayed. The outbreak began in February. Nations went to war. Governments collapsed. Billions died in the chaos and anarchy that followed. Billions more were infected. They died. They came back. It is now October. Out of the tens of millions who lived in southern England, only 90 people remain. 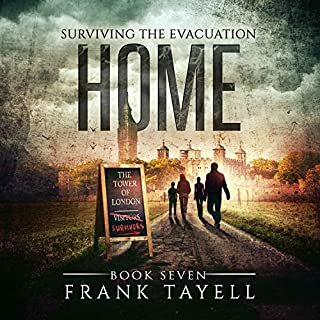 They sought sanctuary behind the ancient walls of the Tower of London, but it was only a temporary refuge. There is no more food to be scavenged from the ruins of the old world. Their water supply is polluted. Zombies. It is seven months since the outbreak. The world is in ruins. Britain is a radioactive wasteland peopled by the undead. 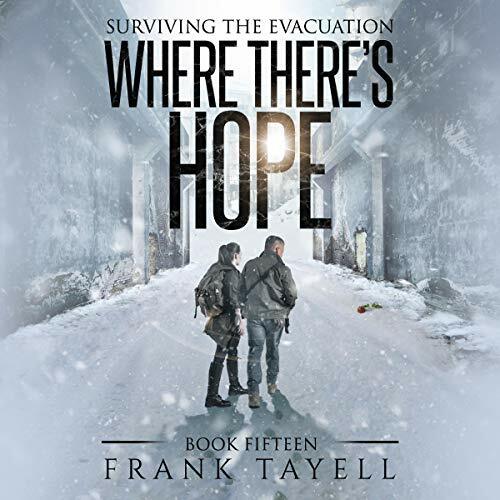 The few survivors cling to the hope that they might wake up tomorrow. For most, that is all they have left. But Nilda has something more, the chance that her son is alive. There are no reported outbreaks in the UK or Ireland. That's what the government broadcasted. Nilda didn't believe it. 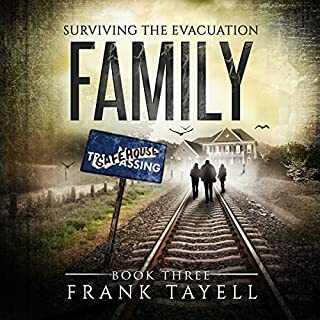 Not trusting the authorities, she, and her son, Jay, stay behind when Penrith is evacuated. After weeks of rationing, there is little food left in the small town and many other survivors competing for it. Choosing diplomacy over violence, she attempts to forge a community out of a disparate group. As zombies gather outside their walls, she realizes that they will have to seek sanctuary elsewhere. 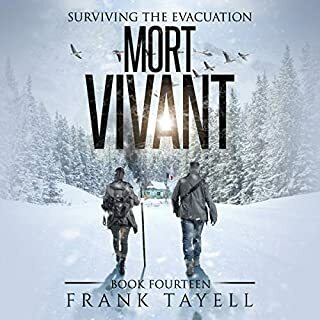 Three months after escaping from London, Bill discovers the true extent of the global war that followed the outbreak. 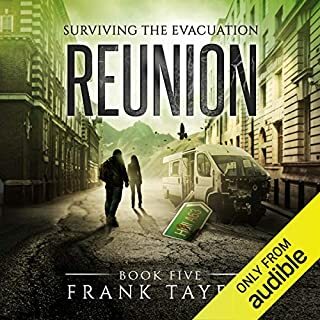 Most of the world has been destroyed, but though ruined farmland and abandoned cities are filled with zombies, there are other survivors and there is a safe haven - so he is told - in a small village on the Irish coast. As they journey through war-ravaged ports and storm-wrecked beaches, a new truth becomes clear. The flotilla that found refuge on Anglesey wasn’t the only group of sea-borne refugees to have survived the outbreak. There are other survivors. Some good, some evil, some just determined to do their duty no matter the cost. Danger lurks along the French and Belgian coasts. So do answers, and hope that humanity now has a future. 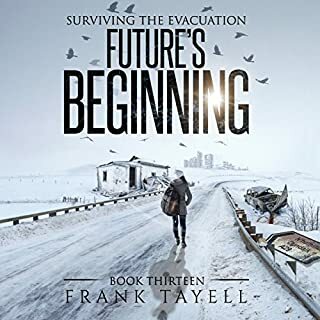 I've loved all of Frank Tayell's books. I get them when they first come out to read then I always download the Audible version to listen to it again. There had been only one narrator I didn't really care for but Tim Bruce has done a wonderful job on this series. I can't wait for what comes next.